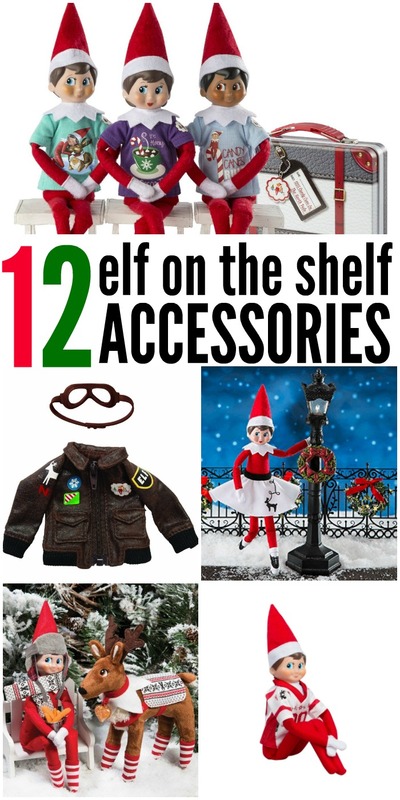 Looking for where to buy elf on the shelf accessories?? It’s the most wonderful time of the year, and I’m excited to share another year of My Favorite Things Giveaway! 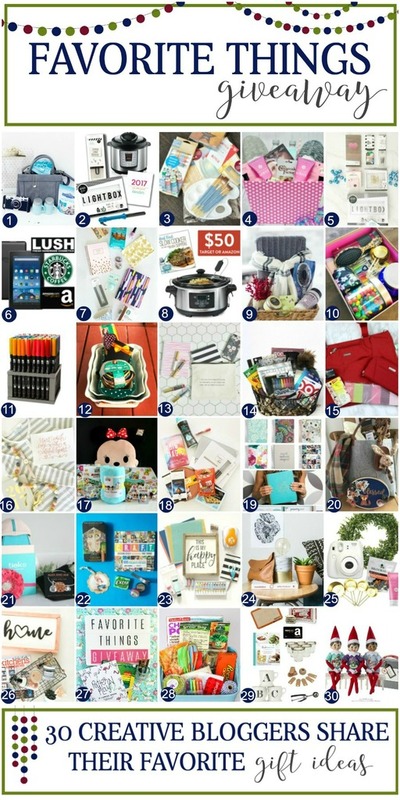 I’ve joined with 30 creative bloggers total, also sharing their favorite things, and each of us are having a giveaway. That means 30 winners total! Not only is it a fun prospect to WIN, but they make great gift giving ideas as well. Here are the goodies I’m giving away, make sure you scroll down to the very bottom of this post to enter MY giveaway. 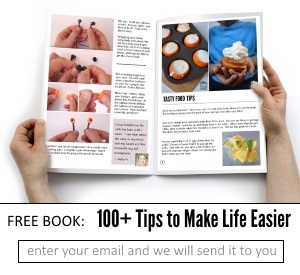 >>>>>>Enter to win MY gift RIGHT HERE! 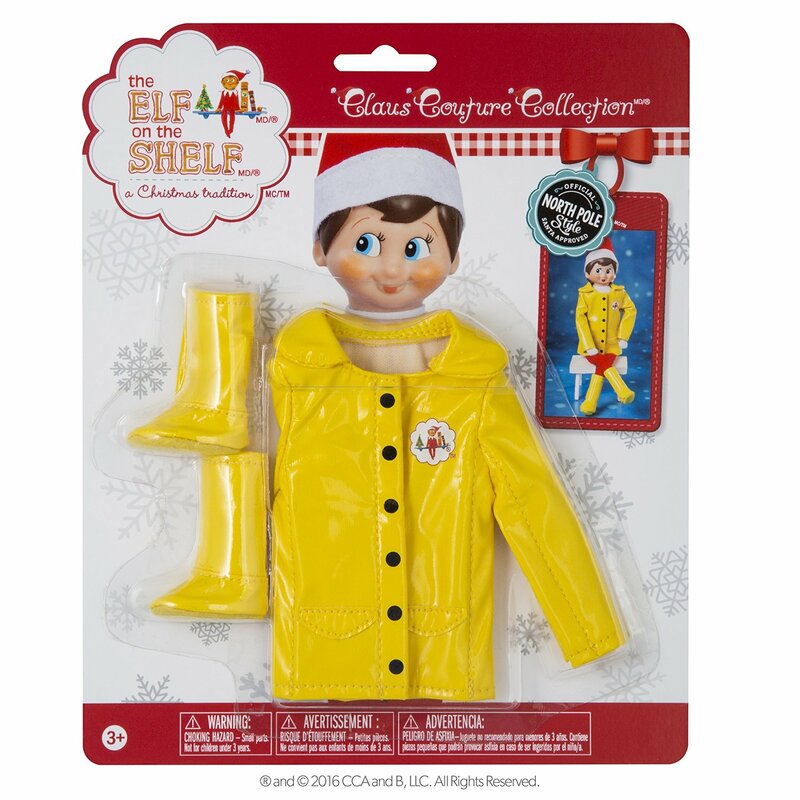 $50 WORTH of Elf on the shelf accessories!!! To enter, leave a comment on this Facebook thread of your favorite Christmas Traditions. My kids will pick their favorite (the boys are five, it’s close to random – but hint, they love photos! )… and we will message you, if you win, with details of for your Amazon Gift Card! Must live in the USA. Does your family have an elf on the shelf? There are so many freaking cool things that you can get for the elves now that we had to share a few with you! 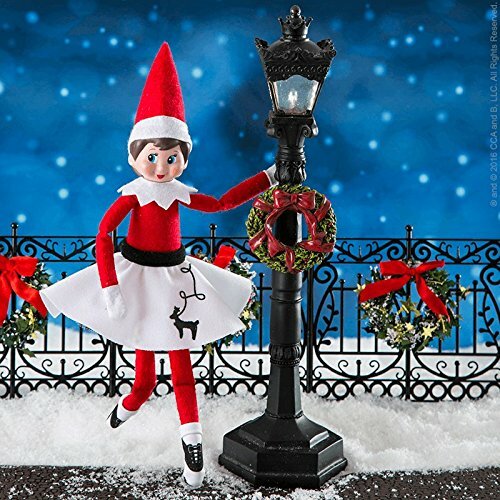 Here are a few elf on the shelf accessories that we love. 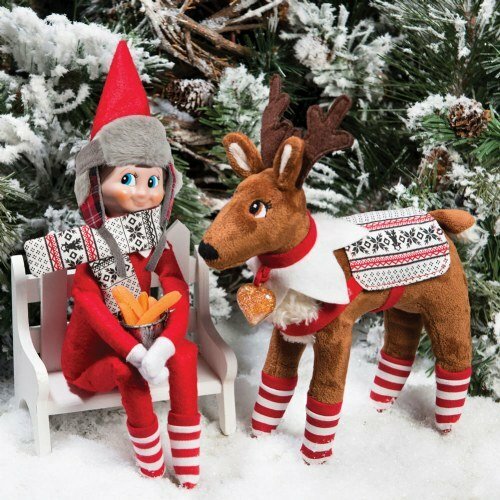 AND… we are giving away a $50 gift certificate to outfit YOUR elf!! 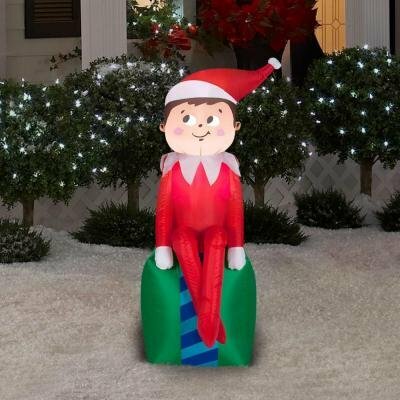 If you don’t have an elf or if the elf idea is new to you then you have been missing out! 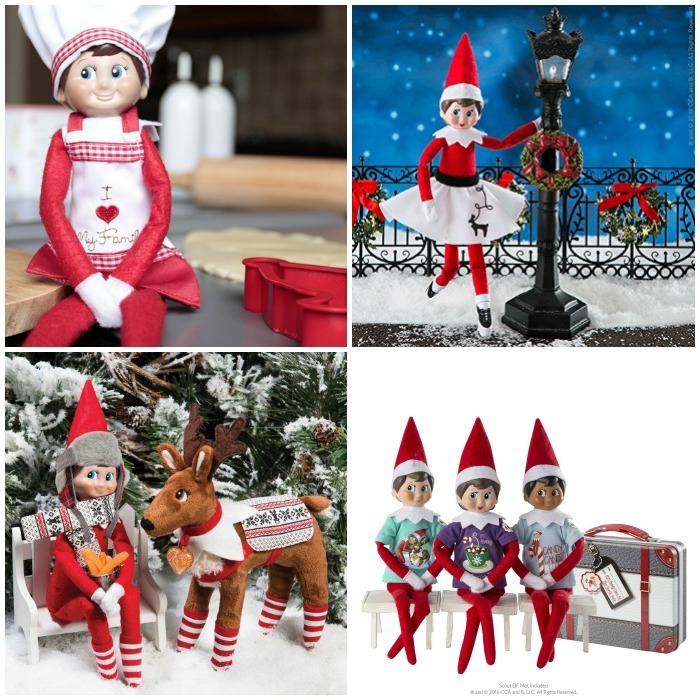 There are so many fun and cute elf ideas out there. The kids love finding the elf each day! How adorable is this raincoat and boots? Your kids and their elf will definitely get a kick out of this outfit! You wouldn’t wear the same shirt day after day right? Your elf doesn’t want to wear the same outfit each day either! You need to get him/her a collection of different shirts! Do you sew? 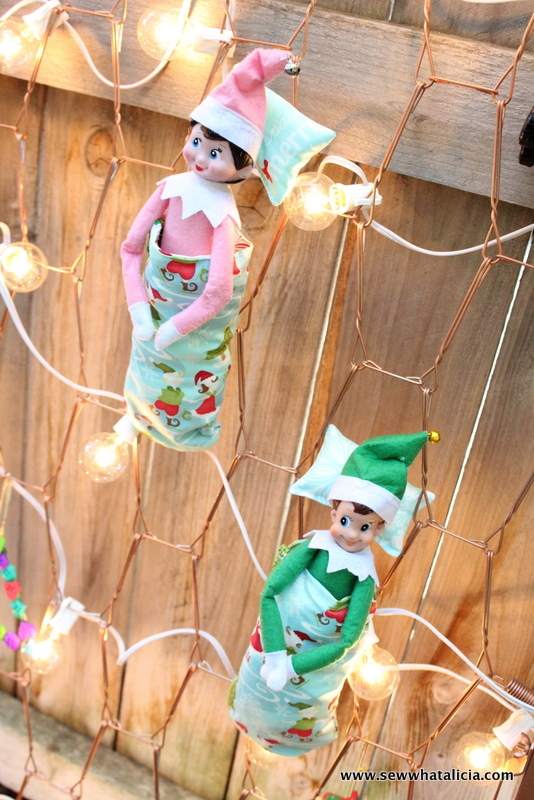 Why not create your own elf on the shelf sleeping bag from Sew What Alicia. Isn’t this freaking adorable? 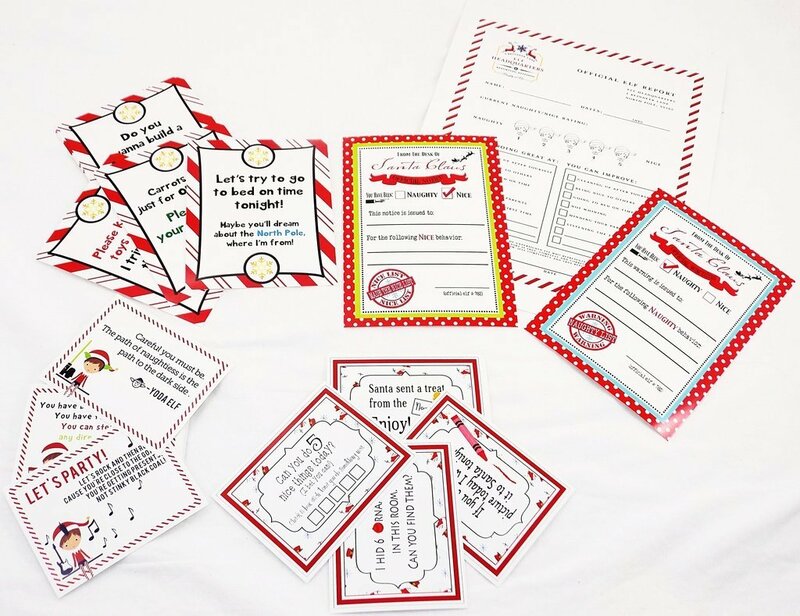 These notes are such a great way to let the elf communicate with your kids! The kids will get a kick out of reading a note from the elf every once in a while! Sports fans? This jersey is adorable and perfect for the sports lover in your family. 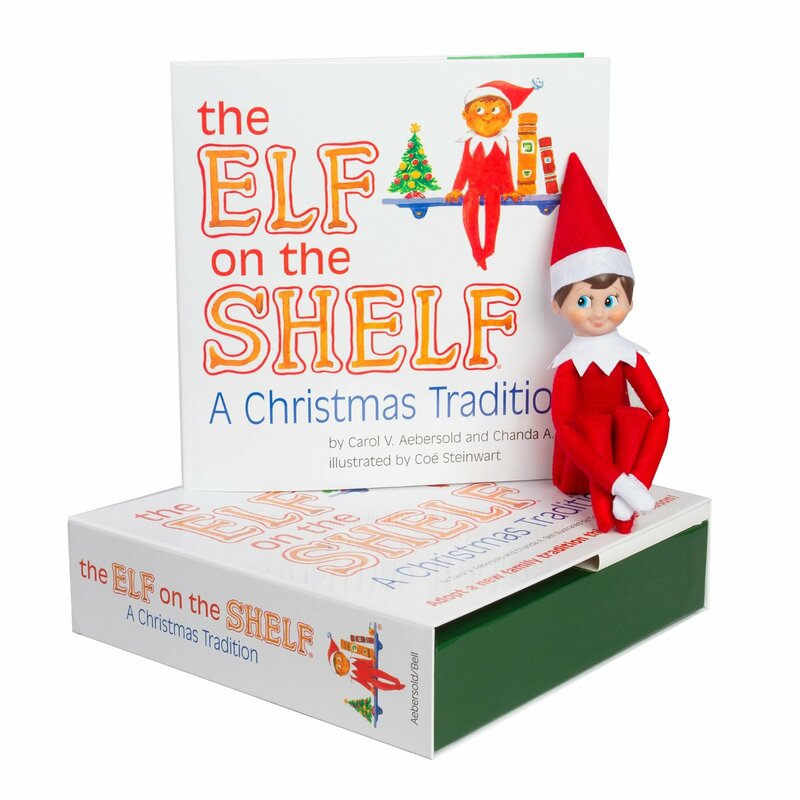 If your kids love their elf they will love this hide and seek game! This would be a fun activity for the family during the holidays. 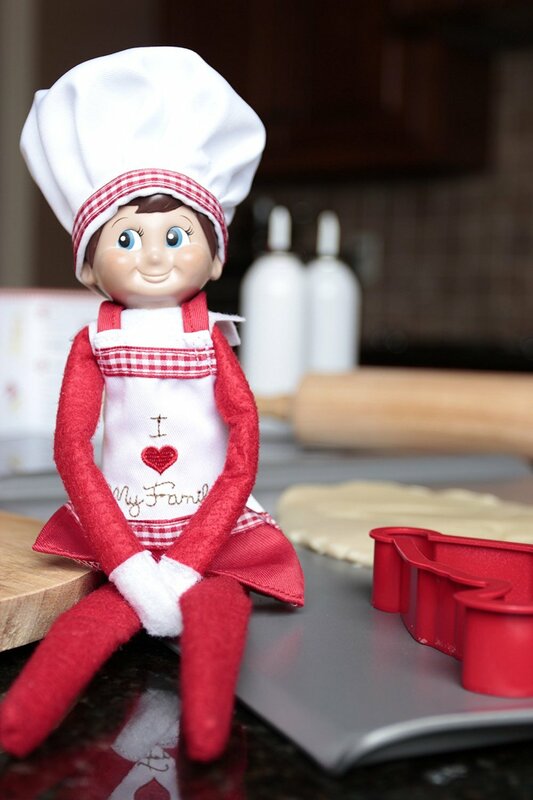 Let the elf make cookies for the family without making a mess in this apron and chefs hat. Have a girl elf? There are some seriously fun girl elf accessories too! 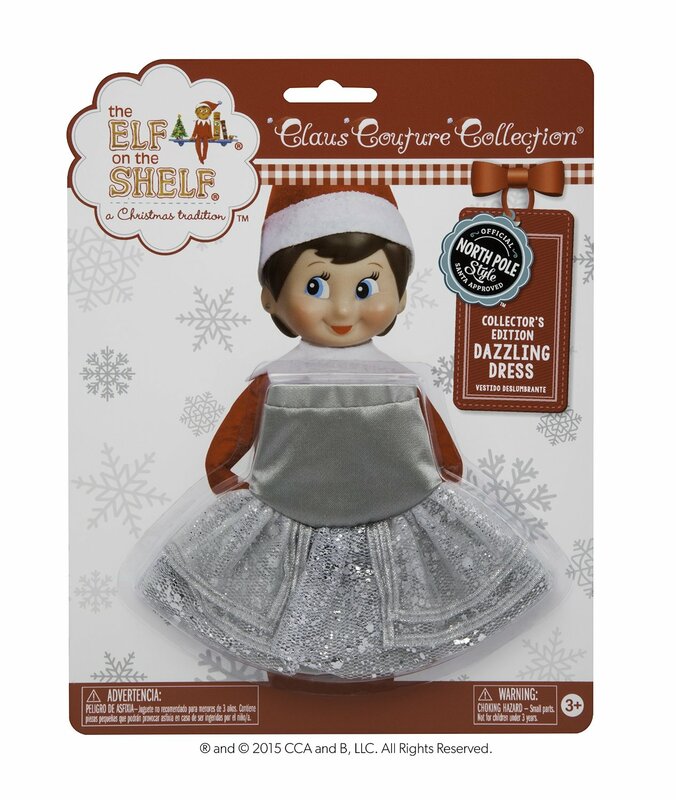 This pretty dress is perfect for an elf dance or figure skater! I mean come on! I wanted a skirt like this as a girl because of Grease. Anyone else? 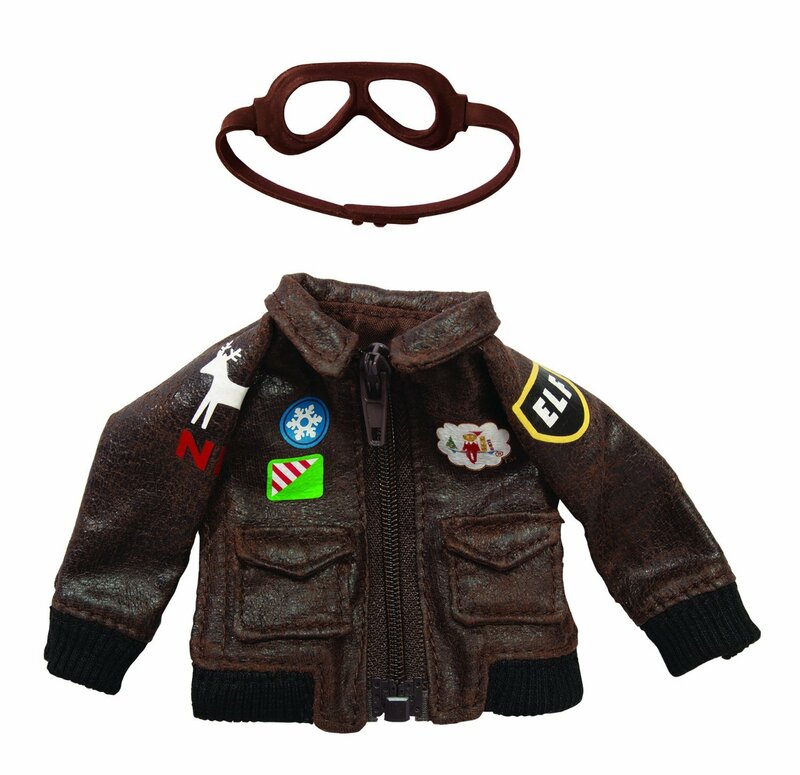 I can’t even handle this aviator jacket and goggles! The kids are going to flip out when their elf turns into a pilot! 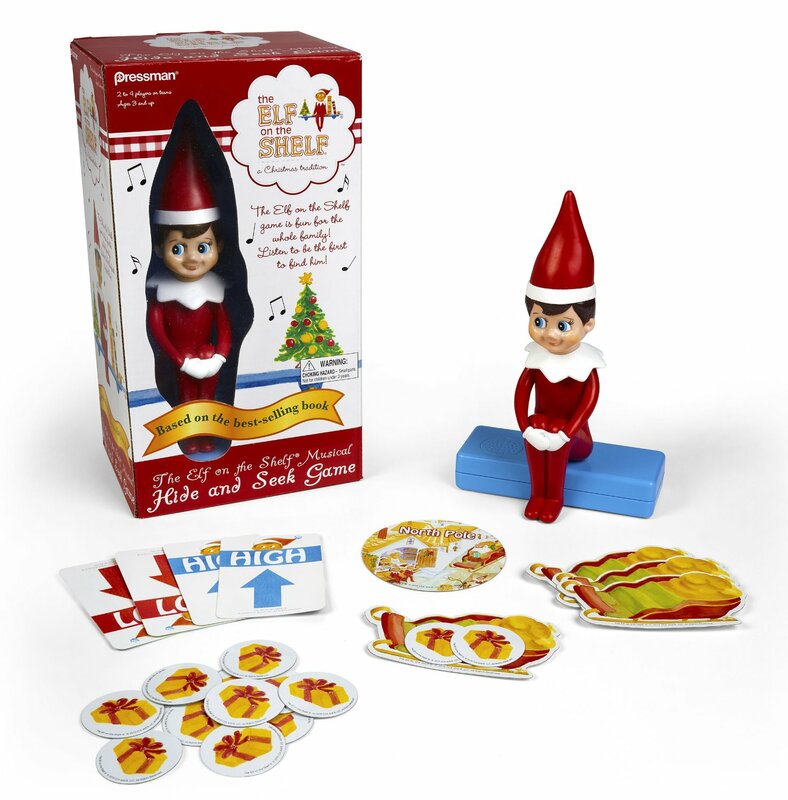 This kit is awesome for anyone who is super creative with their elf. 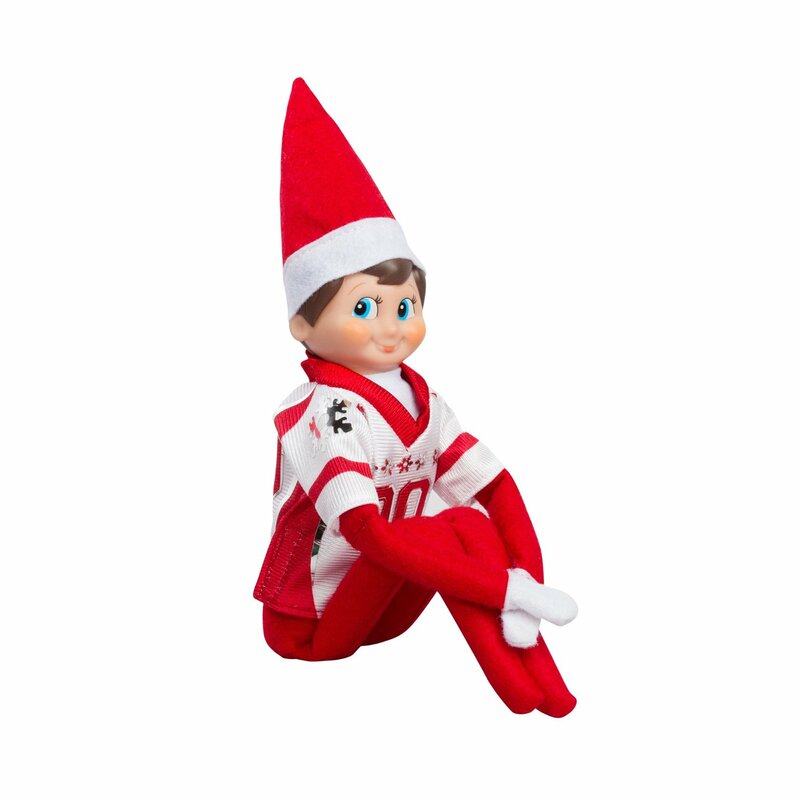 It lets you add some wire to the elf so they are super posable and velcro so you can help your elf hold onto different items. How cute is this inflatable guy? He will make the perfect lawn accessory. Don’t you love this sweet reindeer? And can we talk about how cute the sweater and scarf is?